Video Help For Easy Heart Hairstyle!! 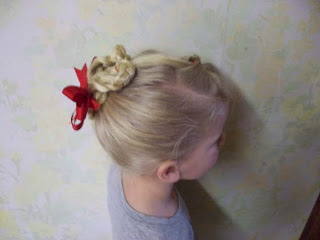 Here it is on her younger daughter with even shorter hair. 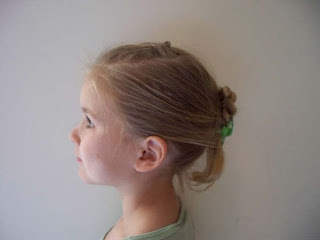 Notice how she started the ponytail up a little higher on her head to give her more length for the braids. See people, it can be done! Give it another try!! The video is definitely helpful. 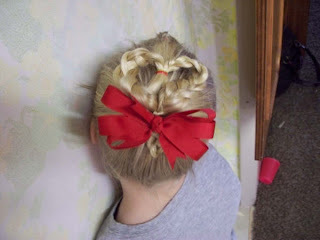 I so can't wait to try this out on my daughter. Okay, I get it now! I am just a visual person, I guess! Thanks!! Okay, my oldest dd just got home from school and I was dieing to try it on her, so I just did it! It was super fast and easy!! Thanks again! Your videos make everything so easy. Trying to tomorrow! Yes! I finally got it. Thanks so much, I can't wait to go show this off at church today. 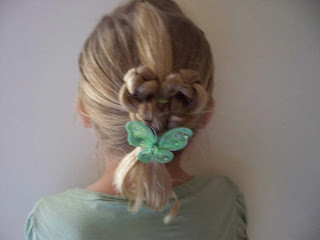 I learned new hairstyles for my daughter's hair. She's going to love all of these, thanks for the useful video.